IndieDB is now hosting the biggest community contest for Indie Game Developers. 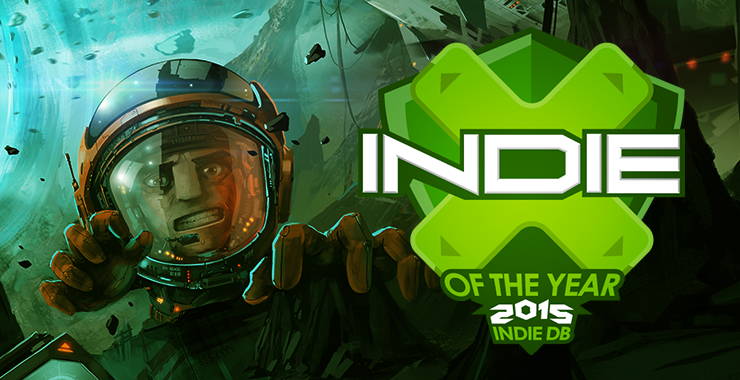 The Indie Game of The Year 2015 and we need your support. Right now is the nomination phase in progress, and we need every possible fans to vote for our game and get it into the TOP 100 selection! We are doing our best to make our game better right from the February. This is the chance to get to know about our game to everyone else! Let's go together make this happen. Let's world know about BLACKHOLE! Pour coffee down your throat! As always, we can't even express how greatful we are for such a great community around our game. Please, stay in touch with us. Follow our dev story here, on our Twitter or Facebook.